Operating forklift trucks can be a dangerous business and the working environments in which they’re used are not without their risks either. Forklifts are widely used for moving materials and goods, but while their use may be widespread, the stakes are high. According to the Health and Safety Executive (HSE), these vehicles are involved in about a quarter of all workplace transport accidents. At worst, people can be injured, and even killed. At best, employers wind up with having to repair their damaged forklift trucks, buildings, forklift fork attachments, goods and much more. 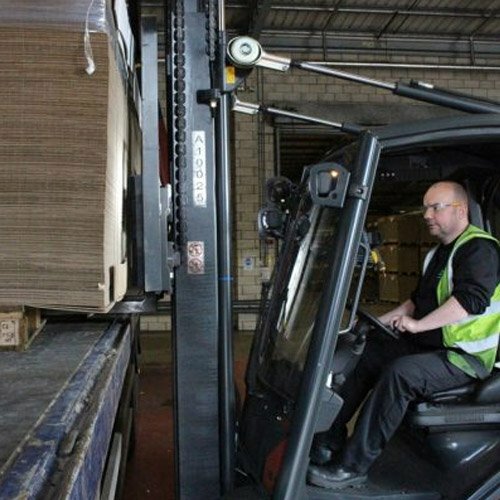 Such are the dangers associated with operating forklift trucks, that the HSE has published detailed guidance on how to use rider-operated lift trucks safely, including the training that’s required and main legal requirements. Capacity is particularly important, as it’s essential that forklifts can do the work that’s required of them. However, accidents can easily happen if loads are too large. That’s why it’s incredibly important to always work within the safe working load. This is the maximum load that can be carried at a set distance from the heels of the forks to a specified height. It should be stated on the lift-truck capacity plate or capacity chart. 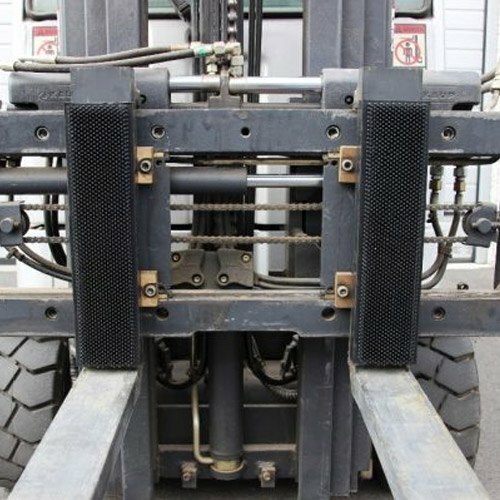 Forklift fork attachments can enhance the safety of load handling, providing they’re suitable for the machine and working conditions. Fork extensions, booms, rotating heads, drum clamps, paper roll clamps, bale clamps and load stabilisers are all examples of the attachments that can be used. However, it’s equally important to remember that they can impact the stability of forklifts and therefore mustn’t be used without the advice of a supplier or manufacturer, such as ourselves. But it’s not just the type of attachment that can pose a risk. How they’re installed is a key contributing factor too. They can’t just be simply fitted, the overall capacity of the forklift needs to be reduced, which is commonly known in the industry as ‘derating.’ This should only be carried out by a highly qualified and experienced manufacturer. And once attachments have been fitted, the same applies to how they’re secured too – the attachment or securing device mustn’t interfere with any part of the mast structure during the raising or lowering of the attachment. It’s incredibly important that the supplier’s instructions are followed at all times too. Most forklifts are powered by electric batteries or internal combustion engines (LPG, petrol or diesel). There are risks associated with each, so it’s important that you follow the safety advice at all times and take proper precautions. In some circumstances, forklifts are powered by internal combustion engines. Adequate ventilation to remove the fumes must be provided and the engines must be properly maintained. Filter systems and catalytic converters are just two of the avenues that can be used to extract fumes however, they don’t necessarily provide adequate ventilation. As always, seek specialist advice. In the meantime, if you have any questions relating to how your forklift fork attachments may be impacting your load handling or guidance on installing attachments that can help enhance forklift safety, contact us on 0113 277 1222 or sales@invicta-attachments.co.uk.